With a hammer in one hand and a large scroll under his arm, Martin Luther approached the Castle Church in Wittenberg, Germany. 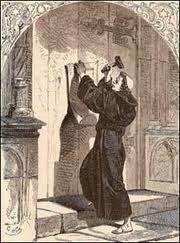 He paused to take a couple of nails from a pouch hidden in the folds of his dark woolen habit then began pounding his 95 theses to the church’s heavy wooden doors. The date was October 31, 1517 and the event changed the course of human history. Luther’s protest was not against ghosts and goblins or children dressing up to trick-or-treat. He chose All Hallow’s Eve because it was the night before All Saints’ Day, a day when most of Wittenberg’s inhabitants would be in church. It was good advertising. Unlike in the United States of America where freedom of speech is protected as a Constitutional right. The Catholic Church was the supreme authority in the land: those who went against the Church did so at the peril of their lives. What prompted this act of courage and defiance on Luther’s part? The established Church in Luther’s day misled people into thinking they could be saved by their own works through pilgrimages, confessions and by purchasing indulgences, which were basically “get out of hell free” cards. It became clear to Luther that men could not purchase God’s grace: it was freely given. This conviction led him to write out 95 main points of contention with the Catholic Church, his “theses,” which he ended up nailing to the door of the church in Wittenberg. Today many Christians debate the proper stance to take toward Halloween. Some believe that the holiday glorifies witchcraft and evil, while others see it simply as innocent fun. One of Satan’s most successful tactics is to incite Christians to fight each other on matters of doctrine. Perhaps we would do better this October 31 to focus on what is most important to God, just like Martin Luther did on that fateful day in history. Luther was willing to sacrifice his credentials. Luther was willing to sacrifice his social status. Luther was even willing to sacrifice his life for the sake of sharing the news about God’s saving grace. Are you willing to make similar sacrifices to bring people from darkness to light? Dear Lord, we pray that today we would have the same conviction that Martin Luther had. Make it our goal to bring those that are in the dark to the light. In Jesus’ Name, Amen. I read this true story of love and kindness earlier this year. I think you will find it well worth reading! When Kevin discovered that the pastor at his church, Randy Jessen, was putting together a boy’s basketball team, his mother let him participate. And soon basketball became a center of Kevin's life. He worked hard at practice. 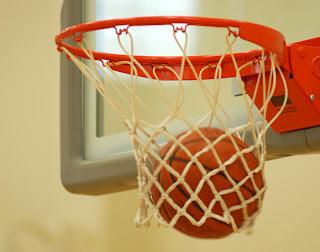 While the other boys practiced dribbling and lay-ups, Kevin shot baskets. He had a special spot near the free throw line. He threw and threw the ball, and it occasionally went in! When that happened, Kevin raised his arms and shouted, "Look at me, Coach!" What a great story of showing love. Let’s make today the day that we show our love and by doing so show God’s love to someone who needs it. Dear Lord, thanks for the love that You showed to us by dying on the cross. Help us show that love to those around us. In Jesus’ Name, Amen. John Darley and Daniel Batson are two Princeton University psychologists. Some years ago they decided to conduct a study, inspired by the story of the Good Samaritan. They conducted the study at Princeton Theological Seminary. They met with a group of seminarians and asked each one to prepare a short talk on a given theme. Then they would walk individually to a nearby building to present it. Along the way to the presentation each student would run into a man who was planted in an alley. He would be lying there, moaning & groaning in pain. The question was who would stop to help the man. Darley and Batson asked half of the seminarians to give their talk on ministry opportunities available for students after graduation. 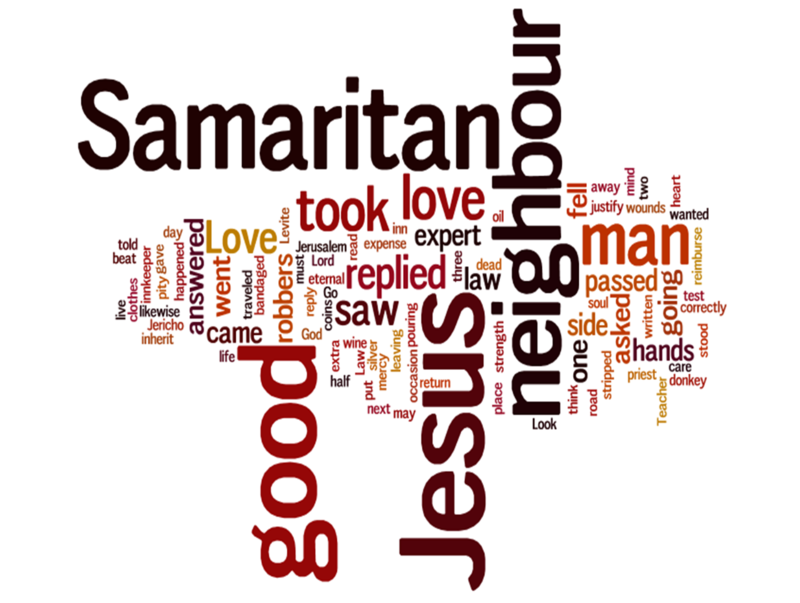 The other half was asked to prepare a short devotional on the story of the Good Samaritan. Also, the researchers wanted to find out if being in a hurry made any difference to the students. So they told one third of the group that they had plenty of time to get to the building to give their talk so they could take their time. Another third was told that they would just make it in time if they left right now. And the last third was told that they were already late-they'd better get moving immediately! In other words, the experimenters put a third of their subjects in a "low hurry" situation; a third in a "intermediate hurry" situation; and a third in a "high hurry" situation. So, which ones offered to help the man in pain? It turned out that it made no significant difference whether the student was giving a talk on job opportunities or the Good Samaritan. What did make a difference was how much of a hurry he was in. Of the "low hurry" subjects, 63% offered help; of the "intermediate hurry" subjects, 45% offered help; and of the "high hurry" students, only 10% offered help. The experimenters concluded that the study would seem to indicate that bystander apathy is encouraged not only by the crowding in today's world but also by the rush of big-city life as contrasted with the more leisurely pace of smaller towns. In our "hurry-up world" it is easy to excuse why we don't help others. So let's slow down. Dear Lord, we ask you today to help us slow down and see the people who really need Your kindness today. In Jesus’ Name, Amen. Everything has consequences and even ignorance can lead to trouble. Take, for example, not locking car doors when exploring the backwoods. In Colorado someone just did that. To make matters worse, that someone left a peanut butter sandwich and a deodorant stick on his back seat. Guess who likes peanut butter sandwiches and possibly even deodorant sticks? You are so right: black bears! Somehow a black bear sniffed the odor of that sweet-smelling peanut butter sandwich, and to his delight, he found out that the vehicle containing it was not even locked! Somehow that bear succeeded in opening one of the cars door. And why not? With such motivation in sight! The bear was able to eat his sandwich inside the car, but once finished, he found himself somehow locked inside that vehicle. To make matters worse, he accidentally shifted the car into neutral, which caused the car to start rolling down the hill. In the end the bear was trapped inside that vehicle for more than two hours, and no other peanut butter sandwiches were to be found. You can imagine that he was not in a very good mood! But neither was the owner of that vehicle! Ralph found his Toyota Truck smashed at the bottom of the hill. 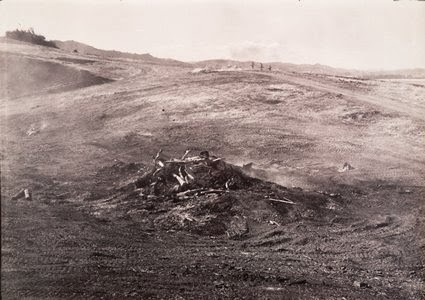 He had to enlist the help of the rangers to release the bear, but once he could inspect his truck, he found the interior completely destroyed. That's what happens when an angry bear finds himself in a locked car! I suspect that Ralph will be more careful about locking his car in the future! After all, he did learn that everything has consequences, even ignorance! We, too, have to confront the consequences of our own sins, but with that in mind, I need to ask you: Are you righteous? This is quite an interesting question and most people would immediately answer "No"! So, you don't think so? 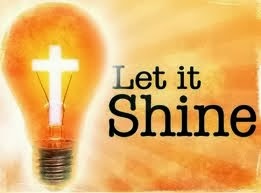 Yeah, we indeed have all fallen short of the glory of God, even when we ignore the fact that we have done so. Amazingly though, God sees us as being righteous! 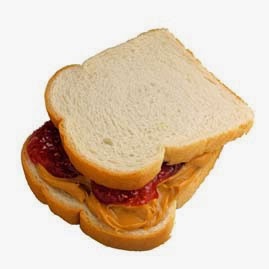 Just like a bear that is attracted to sweet-smelling peanut butter sandwiches, God is attracted to each one of us. He loves us so deeply that He devised a plan to save us, even though we are the ones who had wandered away from Him! We are righteous, not by our own merits, even though at times we may tend to think very highly of ourselves, but through the sacrifice Jesus has bestowed on us, a selfless sacrifice that took his life away. He died on a cross, nailing our sins on that self-same cross. All of our sins. From the past, from the present, and even from the future have been buried for good, forgiven by the Most High Himself! Amazing but true! Three days later Jesus rose from the tomb, guaranteeing that we are truly forgiven and are now completely justified in the eyes of our loving Heavenly Father. Faith in the One who paid the price truly pays off. Thanks to Him, we now stand righteous in the eyes of the Lord. Righteous! Can we believe that! No effort of ourselves would ever qualify for such a designation. It's all thanks to Jesus, Jesus our Savior, Jesus our Redeemer. Jesus who justifies us, even though we really don't deserve it. He is the One who truly loves us. Even though we may still fall at times, we are no more attracted to the smelly, disgusting sin-plastered sandwich. Why? Because we have discovered that our Heavenly Daddy loves us unimaginably! Dear Lord, thank You for being attracted to us. Even though we don’t deserve it You loved us beyond what we can believe. IN Jesus’ Name, Amen. 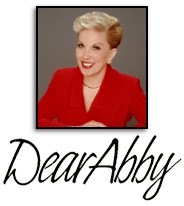 An elderly woman wrote in to nationally-syndicated columnist, Dear Abby, because she had done something that many of us do: wrongfully judge someone based on first impressions. The woman felt awful because she had terribly pre-judged a male neighbor, simply by how he looked. When he first moved into the neighborhood, and she saw him all dressed in black; even black nail polish and eye-liner, she marked him as a "devil worshiper " Months later, his long hair was completely shaved off, and her next harsh conclusion was that he must now be a radical "skinhead!" It was only when she took the time to actually get to know her neighbor, that she learned he attended the local university, and was merely dressed in costume for an event the first time she spotted him, and that his long hair was now missing because he regularly donated his fast-growing locks to a charitable association which uses human hair to make wigs for cancer patients who have lost their hair. The woman felt bad for judging a book by its cover, and wrote in to warn others of doing the same. How thankful we should be that God does not judge us the way mankind often does; only by what is seen on the outside. Our Heavenly Father is more concerned about what's going on in the inside; within our hearts and minds, as it is these which control our actions and what comes out of our mouths. Do you love God and His Son, Jesus Christ? Do you treat others as you yourself wish to be treated? If yes, you do well, but if not, it is never too late to take that first positive step toward salvation. Reach out your hand whether it is yellow, black, red, brown or white, for God is the Master Painter who created all these beautiful colors of the spectrum! Extend out those fingers regardless of whether they have long or short nails; are adorned with color or not, for God wants your love, not your nail polish, fashions trends, hair styles, or makeup techniques. Dear Lord, please forgive us if we have been shallow, and in our criticism of others. We ask You to help us see others as You do. In Jesus’ Name, Amen. It's very hard not to be judgmental of other people, especially if they are different. I can remember my eldest daughter coming home from Middle School in tears. Earlier in the morning, she had seemed so bright and eager to go to school, but something happened that broke her heart. Sometimes as Christians, we can come across as being prejudicial and judgmental of those who are different, too. That's why Paul's words in today's Scripture need to be taken seriously. Christ died for the whole world, and God's love is freely offered to everyone. So, when we deal with other people, no matter who they are or how different we are to them, we are to offer equally God's grace to each one. Dear Lord, help us to see one another through Your eyes. Grant us the gifts of toleration and compassion, so that we may effectively witness to Your mercy and grace. In Jesus’ name, Amen. As I proceeded on my morning walk I was positive…something lay dead on the road just ahead of me. The evidence was clear- the area was covered with vultures. As I drew near, I could see the remains of what used to be a raccoon. Its bones remained, but all of the flesh was gone, and the birds were feasting on every last scrape. The birds were very bold and unafraid, standing their ground until I was within a yard or so of their meal. I took a good look, and, I must say, those birds really repulsed me. Their black feathers seemed all askew, not sleek and smooth like the blackbirds I saw growing up in Michigan. 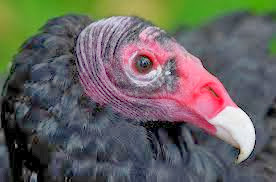 Some had red marking around their beak, reminding me of the flesh they were eating. Their beaks were curved and foreboding looking- ready to dig into the dead and rotting raccoon remains. I was really quite appalled by the scene, and those ugly birds made me cringe! I prefer the delightful, chirpy, pretty birds- those which are pleasing to the eye and sing a melody for me to listen to. But then I thought, God made all the birds, and for each one He gave a purpose. 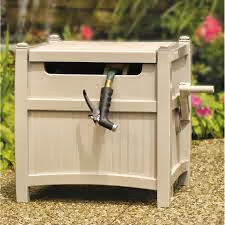 That purpose may be spreading seed, giving beauty to the eye of t beholder, or perhaps, even being the cleanup crew…. The scavengers who pick away at dead animal remains. Just as God made all kinds of birds, He made all kinds of people. Some are more lovely on the outside than other, and some have “cleaner” jobs than others. However, each person has a purpose for being on this earth. I am thankful God sees through His eyes of love as He looks down upon humanity. He sees each of us with the potential He gave us, not judging us by our looks or the “delightfulness” of our jobs. My vision is shallow and slanted, even when I observe God’s creatures. How wrong for me to be so judgmental. I pray God will give me eyes and a heart to see beauty in all of His creation ..not just what I deem deserving. Likewise, I want to see and admire people for who they are.. children of God, made in His image. Dear Lord, thank You for making each of us for a purpose. Help u snot judge others by their looks instead help us to love each one knowing that You have made them for a purpose. In Jesus’ Name, Amen. Dear Lord, Thank You that because of You we can be ready for THAT day. Bring somebody to us today that we can share that great news with. In Jesus’ Name, Amen. Once upon a time there lived a great painter. His paintings were liked by one and all. The King of the state had also honored him with the state award for excellence. The painter was known to all his fans as "Rangacharya" [ which means as master of colors in Hindi ], affectionately called as "Ranga Guruji". Ranga had developed a distinct painting style over the years which was a testimony of his excellence in this field. His hard work, commitment and dedication for the subject was an example for many to follow. Ranga had opened an Arts School where he use to teach the finer aspect of his art to his chosen disciples. There was no fixed course curriculum or duration at this school. Ranga use to declare a pupil qualified in Arts only after he was fully satisfied about the skill & knowledge acquired by him. He had devised his own methods of assessment, which were quite unique like his style of painting. Rajeev a student of Ranga's Arts School was a man in a hurry. He had a gifted hand and had progressed much faster than the other students through sheer hard work, dedication, and imagination. Ranga also was very pleased with Rajeev's progress. Having earned lot of praise and appreciation for his work, Rajeev was anxiously waiting for the day when Ranga Guruji would declare him qualified and he could begin his journey as an artist. One day, he very politely asked Ranga Guruji how soon he would be able to take the final qualifying examination. Ranga smiled and said " Rajeev, you are one of my most promising and favorite students. You have done well in learning all aspects of the art of painting in a very short period. I think it's time you should take the final test." "Kindly advise me what is my test assignment, Guruji ?" it was difficult for Rajeev to hide his happiness and eagerness. Ranga said " Rajeev , I want you to prepare a painting, that could be termed as your best painting and which would win every one's heart. Take your own time and create a real masterpiece." Rajeev worked day and night for many days, prepared one of his best paintings and submitted it to Ranga Guruji. Ranga advised “Now, take it to the main square of the town and put it on a public display. Let the people see your work. Write below the painting in bold letters that the work is being displayed for public evaluation and that the artist would feel obliged if any of the viewers could point out any mistakes in the painting by putting a "X" mark on it"
Rajeev did exactly as advised by Ranga Guruji. He displayed the work at a prominent spot at the main square of the town with the message for everyone to see. A couple of days later Ranga asked Rajeev to get the painting for assessment. Rajeev was very excited on his way to the main square, but got very disappointed to find that the art work was badly defaced with "X" marks all over it. His disqualification looked imminent as he started for the school. Rajeev showed the painting to Guruji with a very heavy heart. But Ranga was very calm and composed. He advised Rajeev not to get disheartened and make another attempt. Rajeev made another masterpiece and Ranga reiterated his earlier instructions but with a little difference in the bottom line. This time he asked Rajeev to also place a set of Paints and Brushes at the site. The message requested the viewers to find mistakes and also correct them with the help of the painting material. A couple of days later when Rajeev reached the main square to collect the painting, he was pleasantly surprised to find that not a single mistake was found in his work as the painting material was lying in one corner untouched. Rajeev was brimming with confidence and joy as he presented the painting to his Guru. Ranga smiled again and said " Rajeev, your training is complete in all respects now with the last lesson you have learned today." Rajeev was listening with great attention as Ranga continued " My dear son, it is not enough to master the art alone, if you aspire to attain greatness & excellence in this field. It is necessary for you to also learn that people generally tend to be evaluative on the first available opportunity even if they do not know anything about it. If you take the world to be your judge, you would always be disappointed. People tend to make judgments, pass remarks on others without any authenticity and seriousness. People filled your first painting with "X" marks as they had nothing at stake in doing so. Most of them were arguably not equipped with the skill or knowledge to evaluate your work. But still they made ample use of the opportunity that came their way. But when the same people were asked to not only evaluate, find mistakes but also to correct them, none of them came forward. This time their own knowledge & skills were at stake. They did not dare to bare the lack of either of these. So they chose to stay away." Ranga continued " So my dear boy, your work, your skills, your knowledge, your investment in the field of Art is a precious product of your hard work and sincere efforts. Do not offer it to the world for free. It would otherwise be treated the way your first painting was treated"
“Be your own judge and trade your virtues with the world for an equitable and fair consideration. I assure you that you would never be disappointed with yourself or your work." Rajeev had tears of respect & joy in his eyes. He knew it deep in his heart that his training and education would have been incomplete without this last lesson that he learned today. Dear Lord, Help us to study hard and do our very best in all that we do. Help us let You be the judge not those around us. In Jesus’ Name, Amen. He appeared to be very nervous as he walked through the large wooden church doors. His head was lowered and his eyes looked directly at the tile floor as he walked very slowly towards the far back pew, away from the rest of the congregation. The preacher immediately ceased talking and slowly lowered his arms, which he had been flinging about during the course of the sermon. He shifted his eyes towards the young man as he accidentally slid the heavy wooden church bench while trying to quietly sit down. The deacons and choir master began to whisper among themselves as several of the other members of the church began to turn around and look at the unshaven figure. Everybody noticed when he walked into the church that he was very thin, dirty and that he was not wearing any shoes, and that he looked awfully hungry. He constantly smiled at all the little children from the orphanage, when they would turn around to look at him. One little boy dropped the nickel onto the wooden bench, which the orphanage had given him to put into the collection plate. The little boy always liked the money collection part of the church service best because he knew that it was almost over and we would get to go home soon. The preacher started talking, on and on about how people should dress up for church and that they should cut their hair and be clean before coming to services. The little boy knew that he was talking about the man in the back of the church because he had long hair and he was not very clean looking. But the man just sat there. He smiled and never said a word. He just sat there raising his hands towards the church ceiling and saying out loud "Praise the father in Heaven", real loud like. The older church people would look at him like he was crazy or something, but he sure didn't look crazy to the little boy. The preacher finally walked off the platform and whispered something into the deacon’s ear. The deacon got up from his chair and walked down the side isle, next to the pretty colored glass windows, and he asked the man to leave because he was disrupting the church service. The young man just looked up at the deacon and smiled. Without saying a word he rose to his feet, turned and walked towards the two large wooden doors leading out of the church. As he reached the doors he once again stopped, turned around and smiled at everyone. He reached over and picked up the entire stack of "The Upper Room" pamphlets, which were always sitting on the table by the entrance and he gently turned them face down and then he walked out the large wooden doors. The little boy thought he would never forget the kindness he saw in that man's smile. A man with a very kind face having to leave the church that Sunday morning because of the way he was dressed and not clean shaven. Do we turn people away because they look different then us? Or dress different? Dear Lord, help us to look at people the way You look at them. Help us have kind and open hearts to those that look different then us. In Jesus’ Name, Amen. His name is Bill. He has wild hair, wears a T-Shirt with holes in it, jeans and no shoes. This was literally his wardrobe for his entire four years of college. He is brilliant. Kind of esoteric and very, very bright. He became a Christian while attending college. Across the street from the campus is a well-dressed, very conservative church. They want to develop a ministry to the students, but are not sure how to go about it. One day Bill decides to go there. He walks in with no shoes, jeans, his T-shirt, and wild hair. The service has already started and so Bill starts down the aisle looking for a seat. The church is completely packed and he can't find a seat. By now the people are really uptight, and the tension in the air is thick. About this time, the minister realizes that from way at the back of the church, a deacon is slowly making his way toward Bill. Now the deacon is in his eighties, has silver-gray hair, a three-piece suit, and a pocket watch. A godly man-very elegant, very dignified, very courtly. He walks with a cane and as he starts walking toward this boy, everyone is saying to themselves, You can't blame him for what he's going to do. How can you expect a man of his age and of his background to understand some college kid on the floor? It takes a long time for the man to reach the boy. The church is utterly silent except for the clicking of the man's cane. All eyes are focused on him. You can't even hear anyone breathing. The people are thinking, the minister can't even preach the sermon until the deacon does what he has to do. And now they see this elderly man drop his cane on the floor. With great difficulty he lowers himself and sits down next to Bill and worships with him so he won't be alone. Everyone chokes up with emotion. When the minister gains control he says, "What I'm about to preach, you will never remember . . .What you have just seen, You will never forget." What an amazing example of what God wants from each of us, to welcome everybody into His house and His family. Dear Lord, what an example we have seen in the story today. We pray that we would be like that elderly Deacon and walk down the aisle and sit on the floor so that someone doesn’t have to worship You alone. In Jesus’ Name, Amen. 1“To the angel of the church in Sardis write: These are the words of him who holds the seven spirits[b] of God and the seven stars. I know your deeds; you have a reputation of being alive, but you are dead. 2 Wake up! Strengthen what remains and is about to die, for I have found your deeds unfinished in the sight of my God. The advancements of technology are amazing. What was once impossible is now possible. 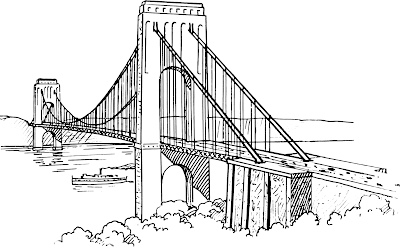 Like the invention of suspension bridges that can withstand more weight than conventional bridges, for example. But then again, not everything that is built lasts. 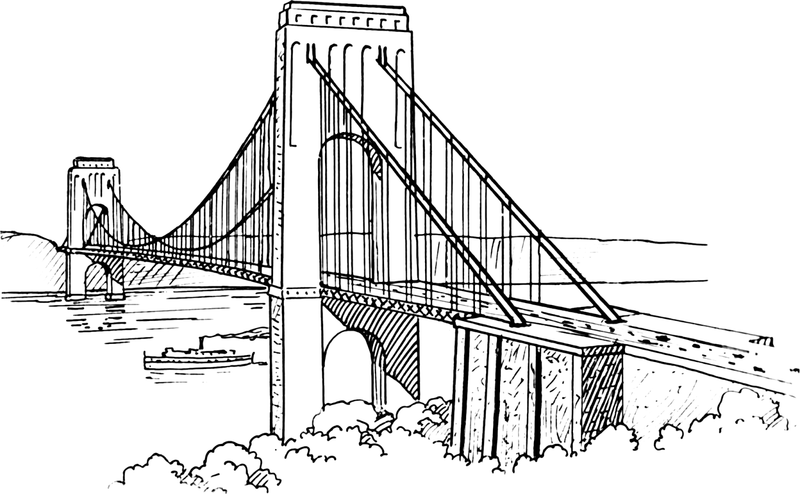 Take, for example, one of the first suspension bridges ever built in America. It was built in 1856 over the Montmorency Falls near Quebec City. It was the pride of Canada. A beauty in conception! 5 days later it collapsed, taking its bridge keeper, his wife and a bridge visitor for the ride of their lives. The engineer didn't fare that well either, when he was indicted for criminal negligence. A more recent bridge, Bridge 9340, that spans the Mississippi River in Minneapolis, used to carry 140,000 vehicles daily, making it the fifth busiest bridge in Minnesota. On August 1, 2007, during the worst possible time of the day, rush hour, it collapsed, killing thirteen people and injuring 145 others. The cause? A design flaw! We could name numerous other disasters of technical wonders that never lasted long enough to fulfill their intended uses. One thing they had all in common: they were all flawed with flaws indiscernible to the eye! One day we, too, may realize that we are left wanting. In fact the New Testament urges us to "wake up!" as more often than not we forget our true purpose in life. These words are far from flattering, don't you think? But if we really meditate on them we have no choice but to agree with them. As Christians, our reputation is that we are truly alive. Didn't Jesus say "I have come that they may have life, and have it to the full." (John 10:10 NIV)? We are the ones who are called "alive" and who are to bring that "full" life to others. However are we truly "alive"? How many times don't we sing worship songs with frowns permanently etched into our faces, with our thoughts geared towards the mundane? How often don't we go to church wishing it was over before it even starts, or perhaps we don't attend at all? How many times are we eager to open God's Word to hear directly from the One who is called the Lover of our soul? How frequently do we communicate with the One we call Lord and Saviour? Do we share that jubilant life with those we call "our friends"? Are we truly alive or are we dead? Who wants to dream their life away? Maybe it is time to wake up! The only way we can truly experience real living is if we wake up from our stupor and let Jesus be the One who shines through us. He is the One who gives true purpose in our lives. We, too, are wonderfully made, but we, too, can become flawed if we don't let Jesus change us from zombies into creatures of light. We, too, can crumble under the weight of those who trust us, unless we let Jesus be our energy. We were meant to be alive, not to crumble into everlasting sleep! On January 23rd 1938 a terrible wind storm blew over Lake Erie, propelling an abundance of ice down the Niagara River and over the Falls. The ice accumulated at the foot of the Falls and started to push against the bridge abutments and the hinge supports of the arch. This caused severe structural damage, and the people of Niagara Falls were aware that it was only a question of time before the bridge would eventually collapse. Word got out, and numerous tourists and locals waited in the cold to see the bridge's downfall, which eventually happened four days later at 4:20 in the afternoon. Rather than attracting people to come and witness my demise, I'd rather they come to the One who not only makes me alive, but can make them alive as well. What about you? Dear Lord, may we become fully alive according to your purpose. May we soar above the clouds so that others will indeed know that we are a follower of the Way, Your way. In Jesus' name. Amen. One afternoon a little boy decided he would help his father. He had heard his dad say that "the car was low on gas." Well, this little boy knew how to fill the tank. It wasn't complicated. The boy had watched his father do it a hundred times. Next, the boy proceeded to fill the gas tank with water. With a smile, he waited for his dad to start the car, to see the gauge that now read "FULL," to thank him for his kindly efforts. You know what happened. Dad tried to start the car. It sputtered and died. And dad didn't say, "thank you." It occurs to me that when people, organizations, churches and pastors try to improve on the simple message of salvation that is ours through the sacrificial death of God's Son, when they try to remake, remodel and recycle the Savior, when they try to fill their souls with anything other than the Lord's great love -- no matter how good their intentions might be -- they are creating a disaster. * Far better for us to forget our attempts at improving the Lord's plan of salvation, which gives life to the lost. * Far better to let the Lord implement His complete, total and excellent plan of redemption, which is ours through Jesus' life, death and new life. * Far better for us to set aside our upgrades and let the Lord, who first had pity on sinners in the Garden of Eden, implement His generous plan of salvation that is ours through faith in our Substitute, Jesus. 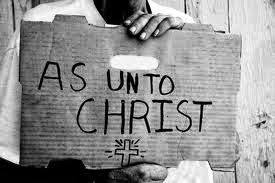 Anything we can do anything we can add, will only confuse, corrupt and complicate the Savior's simple message. There is only one way to be saved, only one way that bestows forgiveness and eternal life. There is only one plan and that plan is defined by Scripture this way: "Salvation is found in no one else, for there is no other Name under heaven given to men by which we must be saved." Dear Lord, we pray that we would see the error of what we are doing. May we also the wisdom and insight to spiritually discern Your truth from humankind's inventions. In Jesus’ Name. Amen. During the Jesus Movement in the 1970's many people out of the hippie generation met Jesus. They wore long hair and tattered clothing. Some had big holes in their pants. At one particular church the older saints complained, "We have all these people with long hair in our church." In those days it was called "ungodly" for a man to have long hair. People came to the pastor, saying, "You have to do something about these people with long hair. These guys are coming into the church and getting saved. They can't wear long hair anymore. It is ungodly." He replied, "No. I am not going to do anything about it except I am going to talk to them. I am not going to tell them they can't wear long hair." The pastor met with the "hippies" and said, "I want you in the next week to ask the Holy Spirit why you are wearing long hair, and then we are going to talk." A week later they met again. A number of them sat together. The pastor asked each one in the group, "What is God saying to you about your hair?" One person said, "Well, God is saying to me to cut the hair." Another person responded, "The Holy Spirit is telling me I can keep my hair the way it is." After he had gone through the entire room and asked each person what God said, about 60 percent of the people said the Holy Spirit, by the grace of God, told them to cut their hair. Forty percent of the people had received instruction by the Holy Spirit to leave the hair the way it was. Was God confused? He gave different instructions to one set of people. Then he looked at the other 40 percent of them and said, "So, what about you? Why have you grown your hair long?" They said, "Because we like long hair. It's cool. It looks good." God is not as concerned about style as we are. If you like long hair, keep long hair. But if the reason why you have long hair is rooted out of rebellion in your heart, then you need to cut it. This is the grace of God. We cannot judge another person because they do not act and talk like us. But we say, "I am going to teach you the Word of God." Teaching someone else the Word of God involves teaching them to listen to the Holy Spirit. Then they will know what to do because their hearts have been molded and changed by that wonderful grace on the inside, the grace of God. When the grace of God has changed your heart you desire to pray. You desire to tithe because you want to give Him everything. Let the law of God be written on the inside of you. Let your heart speak. Dear Lord, we pray that we would not judge others but instead look at them with our heart. In Jesus’ Name, Amen. Have you ever tried to ask for help, only to be thoroughly criticized? Have you ever tried to reach out in love, only to be rejected? But then, who among us never criticized someone else behind their back, or avoided people we don't like . . .
Is this the correct thing to do? It's so easy to see the mistakes of others, and it's so easy to justify avoiding certain people. But does this make it right? In the late 19th century in certain areas located in the south of Iceland, it was common to see poles erected in the ground in frequently travelling areas, especially areas where cities were far from each other and where travelers would easily get lost. It sure would be easy to criticize such travelers. "They should have brought better maps with them, and maybe better equipment, too!" Such ramblings of our thoughts could easily justify the idea that these travelers should have to learn a lesson from their mistakes. But such criticism was never the case in Iceland. 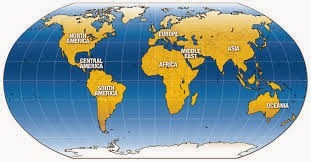 If a traveler in one of these regions got lost and needed help, he or she would seek out one of these poles. There would be an oil lamp under each pole, and the lost person would light this lamp and hoist it up on the pole. The light would then be seen from afar, and anyone in the region that noticed it would come to the immediate rescue of that lost person. In our modern world, there are literally thousands of people crying out for help. Their lives are far from delightful, and they are totally lost, having no clue how to resolve their dilemmas. I wish they could hoist up a lamp, so we would understand without a doubt that they need our help. Unfortunately, no one notices this fact, and they still hunger for help. Criticizing these people won't help them. In fact it will only drive them deeper and deeper in complete despair. Only "kindness, tolerance and patience" will open the doors of their hearts, giving us the opportunity to help them, bringing them hope instead of blame. Dear Lord, we pray that we would not criticize those around us but that we would work to build them up and let Your light shine through us. In Jesus’ Name, Amen. A Christian once visited a farmer to talk to him about Christ. "I wouldn't come to church up there." the farmer said. "I know old so and so (insert a name) church goer who claims to be a Christian and So and So (insert another name) church goer who claims to be a Christian and they don't live any differently from me. I'm as good as they are." Everywhere the farmer went he told about the hypocrites in that church. Months passed and the Christian went to see the farmer again. "I want to buy a hog", said the Christian. The farmer showed all his best hogs to him. Then they came to the runt. "I believe I will take that one," the Christian said. "But you don't want that one. He's the worst runt to the litter," the farmer replied. "I sure do" said the Christian. So they loaded the runt in the truck. "Now," said the Christian, "what if I take this pig here from your farm and ride all over this area telling folks that this is the kind of hogs you raise?" "That's not fair!" the farmer exclaimed. 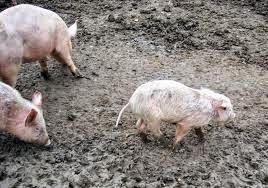 "I have some nice hogs and you want to show people that runt?!" To which the Christian replied, "If it's fair for the church it's fair for the hogs!" We are guilty of this many times ourselves and are like the world when it comes to our judging the church, aren't we? As the above story so aptly illustrates, we and people of the world misjudge the church by pointing to hypocrites and acting as if all Christians are like them. We are quick are to do this. But often we do not treat others the same way. When you see only the weaknesses in the life of your Christian brethren and fail to see their good points, are you not doing the same thing the world does? So then, go out and do right. Live right. Sin not...and above all, be not your brother's judge. 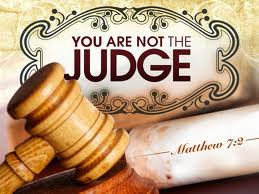 Leave the judging to our Lord! Dear Lord, we ask You today that we would not talk about others and tear them down. Help us not compare ourselves with other. We pray that we would not judge. In Jesus’ Name, Amen.